Wireless HDMI and VideoEliminate messy cables and experience the freedom of wireless HDMI. 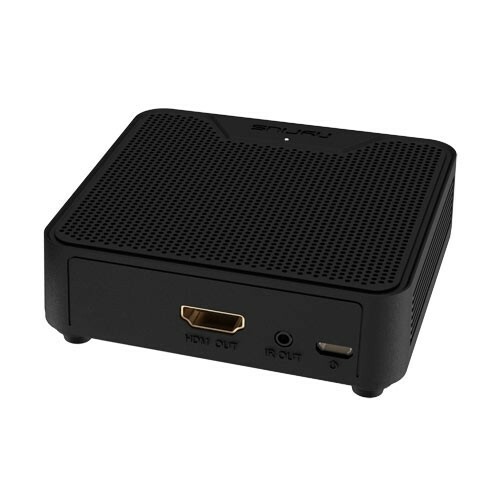 Nyrius Wireless Video Transmitters allow you to stream your content from any HDMI source to a TV or projector wirelessly in crystal clear 1080p. Imagine an invisible HDMI cable connecting your cable box, gaming console, computer or other media source. What’s the Difference Between Nyrius Products? What does Latency Mean for Wireless Video Streaming? Many of our homes and offices are not designed to neatly connect our most used media devices. Whether it’s a computer in a conference room or a cable box in your living room, it may not be within easy reach of our screens. Nyrius wireless HDMI transmitters allow you to experience your gaming, media, and movies free of inconvenient cables. This is a perfect solution for anyone who wants to transmit full HD video and digital audio to a TV or projector. Nyrius Wireless HDMI Transmitter and Receiver Systems are complete plug and play solutions that do not require a Wi-Fi connection, setting up apps, or logging in. You simply plug the transmitter or dongle into your media source’s HDMI output and the receiver into your monitor, TV or projector’s HDMI input to instantly view your video content wirelessly. Nyrius Wireless Video Devices come in a variety of range options from 30 to 100 feet (line of sight). The powerful wireless HDMI signal can penetrate walls, floors and ceilings allowing you to stream content throughout your home for complete media freedom. Nyrius products are not limited by application, platform, or brand. Our wireless HD video transmitters stream any HDMI source including laptops, PCs, Blu-ray players, cable boxes, video cameras, gaming systems, A/V receivers and many more. © 2018 Nyrius. All Rights Reserved.